The author of Hebrews states, “The word of God is living and active, sharper than any double- edged sword, it penetrates even to dividing soul and spirit, joints and marrow; it judges the thoughts and attitudes of the heart” (Heb. 4:12). The certainty that God has spoken, and has done so in a fixed number of inspired books has swung open the doors to several confessions of faith. The London Confession of Baptist Faith opens by stating, “The Holy Scripture is the only sufficient, certain and infallible rule of all saving knowledge, faith and obedience.” The Westminster Confession states that God committed His word to writing, “for the better preserving and propagating of the truth, and for the more sure establishment and comfort of the church against the corruption of the flesh, and the malice of Satan and of the world.” The confession adds, “those former ways of God's revealing his will unto his people being now ceased.” This point, while seemingly innocuous and held to as a basic Christian presupposition, is a point of contention between historic Protestants and Roman Catholicism on the extent of the fixed canon of sacred Scripture. Roman Catholics since the sixteenth century Council of Trent are required by dogmatic decree to accept an additional set of books almost all exclusively written during the intertestamental period known as either the Apocrypha or Deuterocanon. While the argument over the inclusion or exclusion of these books generally takes place in the realm of historical analysis, certain internal biblical arguments for either inclusion or exclusion are likewise put forth. One such internal argument is based on Hebrews 11:35-37. Is this parallel justified? Catholic apologist Robert Sungenis argues that there are “over two dozen such allusions between the Deutero-canonicals and the New Testament” [Robert Sungenis, Not By Scripture Alone (Santa Barbara: Queenship Publishing), p.278]. He lists this passage along with many others. According to Catholic apologists, the reason for such parallels are due to the fact that the Bible used by the New Testament writers was the Greek Septuagint. Roman Catholics hold this Bible translation contained the Deuterocanon, and the disputed books were treated implicitly as sacred scripture by the New Testament authors, as well as the early church. Recently, Roman Catholic apologists have had a boost of support from a recent book, Why Catholic Bibles Are Bigger by Gary Michuta. Mr. Michuta has presented the first full-length defense of Apocrypha inclusion coming from a Roman Catholic perspective in quite a while. Michuta argues that Hebrews 11:35 is indeed a reference to the Maccabean martyrs, and is so with “a high degree of certainty.” First, there are no other examples presented in the Greek Old Testament of persons undergoing torture and not accepting deliverance for the hope of a better resurrection.”[Gary Michuta, Why Catholic Bibles Are Bigger (Port Huron: Grotto Press, 2007), p. 37]. Second, 2 Maccabees twice explicitly refers to a “hope for a better resurrection” as does Hebrews 11:35. Third, Michuta finds linguistic similarities between the words rendered “tormented”(or “tortured”) in Hebrews with Eleazar’s martyrdom in Maccabees. Hebrew 11:36 mentions “mockings and scourgings” as does 2 Maccabees 7:7, “So when the first was dead after this number, they brought the second to make him a mocking stock: and when they had pulled off the skin of his head with the hair, they asked him, Wilt thou eat, before thou be punished throughout every member of thy body?” Michuta summarizes these points by stating, “Apart from dogmatic prejudice, this reference to 2 Maccabees is unquestionable, and both Catholic and Protestant scholars rightly acknowledge this point of contact between Hebrews and the Deuterocanonical book of 2 Maccabees.”[Ibid., p. 37]. If it can be established that the New Testament writers quoted the Apocrypha as Scripture, it would follow that the Protestant Bible is missing inspired God-breathed books. Michuta concludes his book by stating, “The removal of the Deuterocanon is indeed a matter of supreme importance, since it affects the very Word of God Himself; and its effects can be shown to have been devastating in both theology and practice”[Ibid., p. 308]. Has Mr. Michuta and Catholic apologetics proved their contention? Did the writer of Hebrews implicitly consider the Apocrypha as God inspired scripture, and quote it as such in Hebrews 11? P. E. Hughes states this description is “spontaneous and unstudied”[William Lane, Hebrews 9-13 (WBC 47B) (Waco: Word, 1991), p. 385]. William Lane says these verses “presupposes a rather detailed knowledge of the OT and of Jewish history on the part of the writer and the congregation addressed”[Ibid., p. 385]. He further expounds on this section from Hebrews noting the section includes nine short clauses in vv 33-34. He speculates, “The first three appear to form a group prompted by the antecedent reference to those named in v 32b”[Ibid., p.385]. Verse 33 describes those “who by faith conquered kingdoms, performed acts of righteousness, obtained promises, shut the mouths of lions.” This verse clearly applies to those mentioned in Hebrews 11:32. Verse 33 first notes those “who by faith conquered kingdoms.” As Albert Barnes noted long ago, “The meaning is, that some of them subdued kingdoms, others obtained promises, etc. Thus, Joshua subdued the nations of Canaan; Gideon the Midianites; Jephtha the Ammonites; David the Philistines, Amalekites, Jebusites, Edomites, etc”[Albert Barnes, Notes, on the Epistle to the Hebrews (London: George Routledge and Sons, 1876) pp. 293-294]. Here easily documented Biblical figures correspond to the description offered. These also “performed acts of righteousness.” As John Gil described, these people “exercised vindictive justice, in taking vengeance on the enemies of God, and his people; civil righteousness, in the discharge of their offices; and moral righteousness, in their conversation before God and men”[John Gil , The Collected Works of John Gil (electronic edition) (Baptist Standard Bearer, 2002)]. These people also “obtained promises,” promises from God to their posterity, specifically promises to be in God’s people, ruled by His Messiah. From the preceding, it is obvious the writer to the Hebrews assumes his readers are quite familiar with the history of the Jewish people as recorded in the Bible. William Lane implies through his exposition of this section that the examples given in 11:32-40 not only show a deep familiarity with the biblical record, but possibly a correspondence to Jewish extra-biblical history as well. Lane points out that these two counts of divine deliverance reported in the book of Daniel are linked and mentioned together in Jewish tradition in 1 Maccabees 2:59-60; 3 Maccabees 6:6-7; 4 Maccabees 16:3, 21; 18: 12-13 [Lane, p.386]. He also states, “The reference to David is not surprising since he holds such a firm place in the exemplary tradition (e.g., Sir 45:25; 47:2-11; 1 Macc 2:15)”[Ibid., 384]. Lane see verse 34 as not only deeply biblical, but also “richly illustrated in the early Maccabean resistance to Seleucid repression at the time of Antiochus IV Epipihanes (cf. 1 Macc 3:17-25; 4:6-22, 34-36) [Ibid., p. 387]. Despite Lane’s appeal to Jewish tradition, one thing is most certain; the names and descriptions presented in Hebrews 11:32-34 are first and foremost biblical. Lane himself is most aware of this. 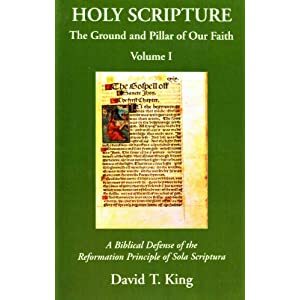 Commenting on the overall structure of Hebrews 11, he states, “In brief, the introduction, first two examples, and conclusion of Heb 11:1-40 take the form of a list of attested exemplars who receive divine approval in the pages of Scripture”[Ibid., p.319]. It is to the controversial verses that we now turn. Does the writer to the Hebrews abandon the Biblical text, or does he have a different Old Testament than that used by Protestants? “Others were tortured” is the first glimpse of a possible Apocryphal allusion. Barnes notes, “The word which is used here - τυμπανιζω tumpanizo - to “tympanize,” refers to a form of severe torture ” that also is described in 2 Maccabees 6:19-29 [Barnes, pp. 294-295]. Likewise, William Lane sees the word translated as “tortured” as the rack or stake to which people were tied to, as described in 2 Maccabees 6:19, 28. Calvin notes that some have translated the word as “imprisoned,” but likewise agrees, “the simple meaning is, as I think, that they were stretched on a rack, as the skin of a drum, which is distended” [Calvin, The comprehensive John Calvin collection 2.0 (Ages Digital Library, 2002)]. Lane also sees “not accepting their release” as a statement “amply illustrated by the behavior of the ninety-year-old scribe, Eleazar, who refused the pretense of renouncing commitment to God so that he might ‘be released from death’ (2 Macc 6:22). He willingly chose the rack and endured a brutal beating” [Lane, p. 389]. In 2 Maccabees 6:30 Eleazar states, “But when he was ready to die with stripes, he groaned, and said, It is manifest unto the Lord, that hath the holy knowledge, that whereas I might have been delivered from death, I now endure sore pains in body by being beaten: but in soul am well content to suffer these things, because I fear him.” Jamieson, Fausset and Brown, John Gil, state a similar opinion. John Calvin comes close to locating the allusion away from the Apocrypha, but likewise states, “Now though they say that Jeremiah was stoned, that Isaiah was sawn asunder, and though sacred history relates that Elijah, Elisha, and other Prophets, wandered on mountains and in caves; yet I doubt not but he here points out those persecutions which Antiochus carried on against God’s people, and those which afterwards followed” [Calvin, The comprehensive John Calvin collection 2.0 (Ages Digital Library, 2002)]. “They were put to death with the sword” presents the opposite of those who, in verse 34, “escaped the edge of the sword.” Eighty-five priests were slain by Doeg 1Sa_22:18. Lane points out, “Elijah escaped the wrath of Jezebel, but other prophets had not been so fortunate (1 Kgs 18:4, 13; 19:10). The prophet Uriah…was ‘struck down by the sword’”[Lane ,p. 391]. Lane though adds, “The fate of being murdered by the sword was certainly not an isolated experience in the OT or in the post-biblical period (cf. 1 Macc 1:30; 2:9, 38; 5:13; 7:15-17, 19; 2 Macc 5:24-26) [Ibid., p, 391]. 1 Kings 18:4 records prophets hiding in caves. Certainly the biblical prophets fit the description “men of whom the world was not worthy.” 2 Maccabees 10:6 records, "And they kept the eight days with gladness, as in the feast of the tabernacles, remembering that not long afore they had held the feast of the tabernacles, when as they wandered in the mountains and dens like beasts'' Albert Barnes likewise finds Apocryphal allusion: “Compare 1 Macc. 1:53; 2 Macc. 5:27; 6:7. The instances mentioned in the books of Maccabees are so much in point, that there is no impropriety in supposing that Paul referred to some such cases, if not these very cases. As there is no doubt about their historic truth, there was no impropriety in referring to them, though they are not mentioned in the canonical books of Scripture. One of those cases may be referred to as strikingly illustrating what is here said. “But Judas Maccabeus with nine others or thereabout, withdrew himself into the wilderness, and lived in the mountains after the manner of beasts, with his company, who fed on herbs continually lest they should be partakers of the pollution;” 2 Macc. 5:27” [Barnes, pp. 296-297]. It seems highly probable the writer to the Hebrews alluded to the Apocrypha in chapter 11. The parallels Catholic apologists suggest particularly in verse 35 and 2 Maccabees seem likely. “Others were tortured,” “not accepting their release” and “so that they might obtain a better resurrection” appear to be the closest points of contact with 2 Maccabees. As noted above, other vague points of contact could be inferred, but not with the same level of certitude of these three statements. Within the arena of rhetoric and polemics, the above study demonstrates that Protestant exegetes do not disagree with the possibility of Apocryphal allusions in Hebrews 11. Thus, Protestants are not hiding the fact that 2 Maccabees may be what the writer to the Hebrews has in mind. Even within Hebrews, the writer may be alluding to spurious accounts concerning Jeremiah and Isaiah in 11:37. Sensing the weight of such a criticism, Catholic apologist Gary Michuta states, “The reference to the noncanonical book, The Ascension of Isaiah, in Heb 11:37 does not negate my point. It is not my contention that Heb 11 used only information supplied by Scripture, but that it uses only biblical figures to illustrate supernatural faith. That is clear from the preceding context. The reference to those who were ‘sawn in two’ is an expansion on the biblical figure of the prophet Isaiah. One can find numerous expansions of biblical figures in the New Testament from apocryphal sources, but none introduces new biblical characters”[Michuta, 41]. Does such an explanation satisfy? No, for it is an invention of Catholic apologetics to weave around an obvious flaw in argumentation. On what basis does one decide that expansion is an allowable method in the usage of non-biblical material for the inspired writers? It is a created distinction. There is nothing within the dogmatic statements from Rome noting this as an accepted method of biblical interpretation. Contrary to Catholic claims, it does not follow that Protestant Bibles are missing inspired God-breathed books. Rather, the writer to the Hebrews included both heroes of faith from the Bible and Jewish tradition. For the writer of Hebrews, the word of God is living and active, sharper than any double- edged sword, penetrating even to dividing soul and spirit, joints and marrow; judging the thoughts and attitudes of the heart. This did not mean for the writer that God’s hand cannot be seen in extra-biblical history. As in our own day, the promises of Scripture are to be clung to as God’s hand of providence directs history. Since each ounce of history is directed by God, the lives of his people both from the Bible and those outside the Bible, can be seen as examples of those who live by faith, and referred to for encouragement. Is the Council of Trent﻿’s teaching on justification the church﻿’s final word?
" The question before us is this: Is the Council of Trent﻿’s teaching on justification the church﻿’s final word? Emphatically not. Rome has developed its doctrine of justification, and it will doubtless continue to do so. None of the ecumenical councils, not even Chalcedon or Nicea, is terminal in the sense that it ends all possible development. They are not terminal, but they are decisive. Rome can indeed develop the views expressed at Trent. What it cannot do without radically altering its view of itself is repudiate or “﻿correct﻿” Trent. Those who look for such a repudiation, or who think they have already found it, are whistling in the dark. Addendum: Luther, Are You Alone Wise? In the dedication to his work, (De abroganda missa privata) of 1521 (Grisar, p. 531) the very year in which he wrote that letter cited above saying even 1000 fornications and murders a day would not separate a man from Christ, we read: "Are you alone wise and all others mistaken? Is it likely that so many centuries were all in the wrong? Suppose, on the contrary, you were in the wrong and were leading so many others with you into error and to eternal perdition?" We comment: How right! If the promises of Christ were so empty that He permitted the Church to teach the wrong way to salvation for most of 15 centuries, then Christ Himself would be a faker. First, Father Most misunderstands Luther's statement, "1000 fornications and murders a day" which I have addressed here. Second, he admits he didn't even read the quote in context (he cited Hartmann Grisar). Luther's primary concern is with changes in the Mass- Is Most really suggesting that the Church celebrated the Mass in exactly the same way for 15 Centuries? If so, was the cup always denied to the common people? The cup was a strong concern of Luther's. Where did Jesus, Peter or Paul teach transubstantiation? Luther didn't have a problem with the bread and wine being the body and blood of Jesus, but he did have a problem with Aristotelian metaphysics. Where did the Apostles teach the church to give the Eucharist adoration? Third, Father Most left off the next sentence from Luther in which the Reformer stated what did make him sure of himself: "Finally, Christ with his clear, unmistakable Word strengthened and confirmed me, so that my heart no longer quails, but resists the arguments of the papists, as a stony shore resists the waves, and laughs at their threats and storms!" Fourth, Father Most engages in the typical Catholic mis-truth that Rome has consistently taught one thing for 15 centuries concerning salvation, when in fact, Rome did not formulate a dogmatic statement on justification until the 16th century. Even with transubstantiation, Rome had no consensus on this issue until 1215 AD. Fifth, he assumes that if (as Luther asserts) Rome taught error, this makes Christ's promises "empty." Well, Rome admits that their were abuses with indulgences, so does this make Christ's promises empty? Rome admits some of its leaders have been corrupt while in Papal office, does this negate Christ's promises? Have not the gates of Hell prevailed over the church when a corrupt Pope holds the most holy office, representing Christ on earth? Roman Catholics are allowed to hold their own interpretations until dogmatic definition, does this make Christ's promises "empty" until that dogmatic definition? No, Christ's promises are exactly where they are, in Scripture, and His sheep hear his voice. Luther DID have doubts about what he had done as related by James M. Kittleson, a distinguished Professor of Church History and Director of the Lutheran Brotherhood Foundation Reformation Research Program at Luther Seminary. His academic credentials far exceed those of anyone here and given that he is ACTUALLY A LUTHERAN, he should have a better understanding of Luther than do those who are NOT. Well, immediately, it does not logically follow that because Luther had "doubts" as to his Reforming endeavours against the majority he therefore was wrong in attempting to reform the church, or that his theological opinions were wrong. This Catholic has committed the errors that a consensus of opinion equals absolute truth, and second, that a person must have absolute certainty of his actions in order to be a leader or reformer. That Luther had a particular level of fear or doubt as he progressed against a majority, and that he admitted it... is... well, very human. "Are you the only wise man? Can it be that all the others are in error and have erred for so long a time? What if you are mistaken and lead so many people into error who might all be eternally damned? Finally, Christ with his clear, unmistakable Word strengthened and confirmed me, so that my heart no longer quails, but resists the arguments of the papists, as a stony shore resists the waves, and laughs at their threats and storms!" Kittleson goes on to explain that Luther wrote On the Misuse of the Mass (from which the Luther quote in question comes from) for this very purpose. It was to give his colleagues "solid arguments so that they might be confident in their actions." That is, Luther considered that those who attempted to institute changes in the Mass would likewise feel the weight of peer and public pressure as to the validity of their actions. That is, the statement, "Are you alone wise... Can it be that everyone else is in error and has been in error for so long? What if you are wrong and lead into error so many people who might then be eternally damned?" ...has to do primarily with changes in the Mass. The treatise is divided into three parts. The first part points out that the false conception of the mass is built on a false conception of the priesthood. According to the New Testament every Christian is a priest; and the priestly office is one of preaching, not of making sacrifice. The second part discusses the mass itself. The Words of Institution, examined individually and collectively, forbid any interpretation of the mass as a sacrifice; they speak rather of a promise given by God, to be received in faith by men. In refuting the arguments of his opponents Luther expresses himself plainly on the subjects of the canon of the mass, saints, purgatory, and spirits of the dead. The wholly polemic third part contrasts the papal priesthood with the priesthood of Christ. The former, with its laws, has extinguished the gospel, and actually perverted each of the Ten Commandments to mean exactly the opposite of what God intended. An avowedly allegorical comparison of church and synagogue is made, not to buttress, but pointedly to illumine the argument. To my dear brethren, the Augustinians at Wittenberg, I, Martin, wish the grace and peace of our Lord Jesus Christ. I have been informed both orally and in writing, my dear brethren, that you are the very first to have taken steps to do away with the abuse of the mass in your assembly. Although it has pleased me greatly, because I regard it as evidence that the word of Christ is at work in you and that you have not received it in vain, nevertheless, out of Christian love, which leaves nothing undone, I am deeply concerned that not all of you have taken such a great and noteworthy step with equal steadfastness and good conscience. I will not mention how the bishops and priests of Baal daily terrify the consciences of those who are weak in faith, now with papal bulls, now with indulgences, now with brotherhoods; one arrests the married priests; one does this and the other that miracle, and everyone does the most terrible things he can. But what will happen when throughout the world you suffer all kinds of derision, insults, viciousness, and dishonor from everyone, even from the pious, clever, holy, and wise; and are regarded as blasphemers because you alone, and so few of you at that, have dared to change the whole spiritual and human order contrary to all human reason? It is indeed an extremely great undertaking to resist such a long-established custom and the opinion of all men, to suffer patiently their accusation, judgment, and condemnation, and to stand immovable in the face of such a storm of winds and waves. I know well that if you are built on the rock no violence of water and wind can harm you, but if you stand upon the sand a great and speedy fall will overtake you [Matt. 7:24-27]. I myself experience daily how extremely difficult it is to lay aside a conscience of long standing, one that has been fenced in by man-made ordinances. O with how much greater effort and labor, even on the basis of the Holy Scriptures, have I been barely able to justify my own conscience; so that I, one man alone, have dared to come forward against the pope, brand him as the Antichrist, the bishops as his apostles, and the universities as his brothels! How often did my heart quail, punish me, and reproach me with its single strongest argument: Are you the only wise man? Can it be that all the others are in error and have erred for so long a time? What if you are mistaken and lead so many people into error who might all be eternally damned? Finally, Christ with his clear, unmistakable Word strengthened and confirmed me, so that my heart no longer quails, but resists the arguments of the papists, as a stony shore resists the waves, and laughs at their threats and storms! Because I felt and considered these things within me, I wanted to write this letter to you for the comfort and strengthening of the weak, those who cannot bear the storm and violence of the opponent and of their own despairing consciences. For such consciences must be treated with faith and trust, so that we not only look upon the judgment of the whole world as straw and chaff, but also that in death we may be adept in lighting against the devil and all his might, even against the judgment of God, and with Jacob prevail against God [Gen. 32:28] through such a strong faith. The weak in faith may indeed disregard the derision and ridicule of the world and pretend not to hear it; but who can so protect himself against the devil and the stern judgment of God that he does not feel them? The world can do no more than denounce us as heretics and unbelievers; it cannot make us heretics. Our consciences will make us sinners before God in many ways and damn us eternally unless they are well guarded and protected at every point by the holy, mighty, and true Word of God-that is, built on the only rock [Matt. 7:24-25]. Whoever does that is sure of his cause and cannot fail, nor waver, nor be betrayed. Such a sure, impregnable fortress we seek and desire. For these reasons I will prepare a special little book on the mass which should be useful to everyone who wishes it. For I can well see that the books which I have written on the subject so far4 have not yet made a sufficient impact because the bishops oppose them; so that as often as the word of truth is renewed, exalted, and repeated, so often the paperhangers condemn and suppress it. We ought also to pray the Lord to send out laborers into his harvest [Matt. 9:38], and his angels to gather out of the kingdom of God all causes of sin [Matt. 13:41], which are now very many. This one great cause of sin is now at hand; if we could remove it, then we should have removed not only one, but all, because this is the foundation and fountainhead of all the rest. May the Lord Jesus strengthen and keep your hearts and minds [Phil. 4:7] in a true, right, unsimulated faith and divine love, amen. From my wilderness, on St. Catherine’s Day [November 25], 1521. 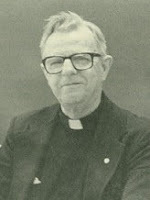 I stipulate publicly that I wish neither to hear nor to see the foolish senseless persons who will cry out, saying that I write and teach against the ordinances of the church, against the doctrines of the fathers, against old and proven traditions and the long-standing customs, usages, and practices of the church. Likewise I despise all human teaching and the precepts of the Parisian Sodom, which, as Peter says, are none other than destructive heresies [II Pet. 2:1]. If only the lunacy would cease to plague them for one hour, they would themselves recognize (since they prove their whole case without the Word of God) that they are not depending upon divine sayings, but only upon human ones. Thus it is contrary to human reason, not to mention the divine Scriptures, to found and build an article of faith on human fancies, for the holy sacraments and articles of faith rightly demand that they be founded and preserved only through the divine Scriptures, as Moses abundantly testifies in Deuteronomy. Why then do they think that they can alienate me from the divine Word with their own fancies, that is, human laws and teachings; as if they did not know that the saints had often sinned during their lifetime and erred in their writings? They are even so foolish as to set up and accept the words and deeds of the saints as a sure, unfailing rule of faith. In addition, their own law, which is really no law at all, makes such human sayings suspect when it says: "Whoever is once found to be wrong will always be regarded and considered to be wrong." Since the fathers have often erred, as you yourself confess, who will make us certain as to wherein they have not erred, assuming their reputation is sufficient and should not be weighed and judged according to the divine Scriptures? They have (you say) also interpreted the Scriptures. What if they erred in their interpretation, as well as in their life and writings? In that way you make gods of all that is human in us, and of men themselves; and the word of men you make equal to the Word of God. For these reasons the stupid sophists, the unlearned bishops, monks and priests, and the pope with all his Gomorrah8 should know that we are not baptized in the name of Augustine, Bernard, Gregory, Peter or Paul [I Cor. 1:13] nor yet in the name of the Parisians, but in the name of Jesus Christ, him alone. Only the crucified one and none other do we acknowledge as our master. Paul does not wish that we believe him or an angel, unless Christ lives and speaks in him [Gal. 1:8, 12]. We know indeed what the fathers, the decrees, the customs, and the folly of the people include and contain. What need have we in addition for the masters of Paris to write and say: "Such an article is an abomination. This one is contrary to the faculty of Paris, that one is contrary to their established articles," and more of the like-a boast that only female children and rude blockheads can make? We will not listen to this: "Bernard lived and wrote thus"; but only to this: "He was supposed to live and write according to the Scriptures." We are not asking how the saints lived and wrote. They were all preserved through this prayer: "Forgive us our debts" [Matt. 6:12]; as Ps. 31[:6] says: "For this shall every saint pray at the opportune time." We refuse to concede as true and just, that the saints were forgiven by means of a prayer which was itself sinful and in error; which is what the papists are doing when, as Ps. 60  says, they support themselves upon a leaning and tottering wall [Ps. 62:3], whereas God alone should be a support, as the same Psalm testifies so often [Ps. 62:1-2, 5-7]. I have stated, that one does not ask how the saints have lived and written, but how the Scriptures indicate that we ought to live. The question is not about what has been done, but about how it is supposed to be done. The saints could err in their writings and sin in their lives, but the Scriptures cannot err, and whoever believes them cannot sin in his life. We accept indeed those saints whose praise comes not from men but from God [Rom. 2:29]; not those whom the pope raises up, but those whom God raises up, Whose oxen and birds they are, killed and made ready for the marriage feast of Christ, his son [Matt. 22:2-4]; that is, those whose life and teaching the divine Scriptures praise, such as the patriarchs, prophets, and apostles. Them alone and no others can we surely believe and cling to, and thus be preserved. 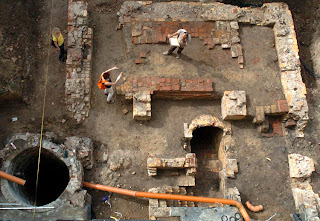 "The dig behind the Wittenberg house that Luther shared with his wife and six children. The German State Museum of Prehistory is opening an exhibition that presents the results of the digs to coincide with Reformation Day." I was sent a link to this article: Archaeologists Unveil Secrets of Luther's Life. I've known about this dig for a while, it appears they've found some interesting things in the trash pit. As to the link article- it includes some of the typical Luther myths presented as historical fact- like the famous "inkwell thrown at the Devil" story, as well as giving credence to the cloaca/tower bathroom myth. It also includes a version of the myth of Luther's fear of demon possession. Overall, the article was poorly documented and poorly researched, but it does at least explain the dig. A pictorial of the dig can be found here. But the tale of a sign from above coming to Luther in the form of a lightning strike is greatly exaggerated. In truth Luther, who was 21 at the time, was fleeing from an impending forced marriage. "Newly discovered archive records show that the father had already married off three of his daughters and one son to the children of wealthy foremen," explains expert Schlenker. Apparently it was now Martin's turn. Instead of submitting to his father's will, the young man went to the monastery of the Augustinian hermits near Erfurt. The 50 monks living there wore black robes and the circular tonsure. They rose at two in the morning for the first Divine Office of the day. I've not heard this one before! Poor Luther- he picked the most strict monastery to hide in. As to the truth of it? Well, only "expert Schlenker" (whoever that is) knows for certain. I've been preoccupied with other things lately, and haven't had a chance to update the blog as often. I have though been working on the context of a Luther quote- you know, one of those tidbits quoted in the service of pop-Catholic apologetics- cited with a secondary source rather than the readily available context, a few lines from one page, separated with "..." and then one line from 2 pages later. Possibly Polemical Patristics: This section has the caveat lector entries, where the posts are in some ways incendiary, polemical, or otherwise calculated to provoke, but may still contain material of interest for carnival readers. You got me! I was caught with a devious citation from Luther in order to stir up trouble for Reformation day. The post was supposed to stir up the few of you reading this blog to run out and nail complaints to the door of your local Roman Catholic Church. Actually, the truth is, anyone even remotely familiar with Luther's battles with Catholic apologists knows they threw citations from the "Fathers" at him, and he either threw them right back, or evaluated the form of argumentation being used. Hey, that seems a lot like....what has been going on for a long time. My intent was not to provoke, but to show that the same type of argumentation in these pop-Catholic apologists vs. the separated brethren has as much of a history as that being documented on the web site critiquing me. I also found it interesting as to Luther's assessment of the value of such endeavours. Neither broadcast has Dr. Sproul, but his guests do an excellent job giving basic overviews of some of the less known Protestant Reformers. "We all know about Reformers Martin Luther and John Calvin, but who else do you know? What other brothers in the faith do know you who passed on to us our Protestant tradition? This special series is dedicated to some of the lesser known reformers and liberating contributions of the Protestant Reformation. Joining moderator John Duncan, vice president of ministry outreach and executive producer at Ligonier Ministries, are Drs. J. Ligon Duncan III and Derek Thomas. Among their many roles and accomplishments, both Drs. Duncan and Thomas serve together at the historic First Presbyterian Church, in Jackson, Mississippi, and have joined Dr. Sproul during our Ligonier conferences." For those who enjoy the wandering ramblings of Gerry Matatics, here is a recent email from him about a new opportunity. I cut out the middle which is primarily about donations. One of the foremost traditional Catholic educational leaders in our country has presented me with a unique opportunity to make the Biblical case for Catholicism to a Baptist group in Albuquerque, New Mexico in the next month or two. But if things go right, this can rapidly mushroom into a six-state speaking tour of Utah, Wyoming, Colorado, New Mexico, west Texas, and Oklahoma. Please keep reading. As a former Protestant myself, I'm always thrilled with such opportunities to lay out the Scriptural, historical, and logical arguments for the Catholic Faith being the one true Faith and the Catholic Church being the one true Church, outside of which there is no salvation. I've been doing this full-time for 22 years now. I know the mindset of these folks very well. As you may know, I myself was a convinced Baptist for many years -- throughout my high school, university, and graduate school years -- before finally embracing Presbyterianism while completing my Master of Divinity degree at Gordon-Conwell Theological Seminary and becoming an ordained minister in the Presbyterian Church in America. From first-hand personal experience I readily understand Baptist misconceptions and prejudices. I know how their mind works and how they handle Scripture. And, by God's grace, I've been very blessed to successfully persuade many Baptists over the years to embrace the Catholic Faith, in the hundreds of cities and towns I've spoken in so far. Whichever way you choose to donate, I look forward to hearing from you if you can help make this trip a reality. I honestly don't know anyone else who travels all across the country as I do, from Alaska to Florida, from Maine to Hawaii, bringing the hard-hitting traditional Catholic message that I do. Despite my unworthiness, I truly believe that, by God's grace, this apostolate is unique, and uniquely deserves your prayerful support and the support of every clear-minded Catholic in this age of inconsistency, doctrinal confusion, and near-universal apostasy. Thank you for keeping me going in this crusade to bring the unadulterated Catholic Faith to every man, woman, and child in America before it's too late. Please feel free to forward this e-mail to anyone you think might be interested in helping. Thanks, and may God richly bless you and your family! You already know, I'm sure, that we remember all our donors and all their loved ones in our family rosary every evening. God be with you, now and forever.